Vote show ideas up and down! Suggest episodes! Say what you think on the Vegan Option page on allOurIdeas.org. 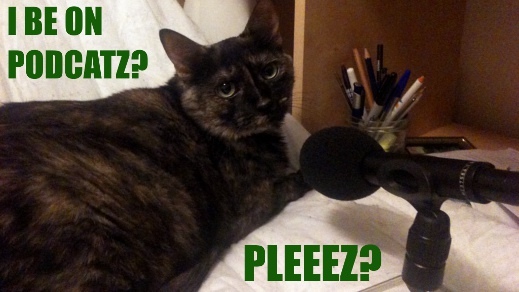 A plaintive message from our cat, Mazzy, who snuck into our “studio” as we were taking it down.